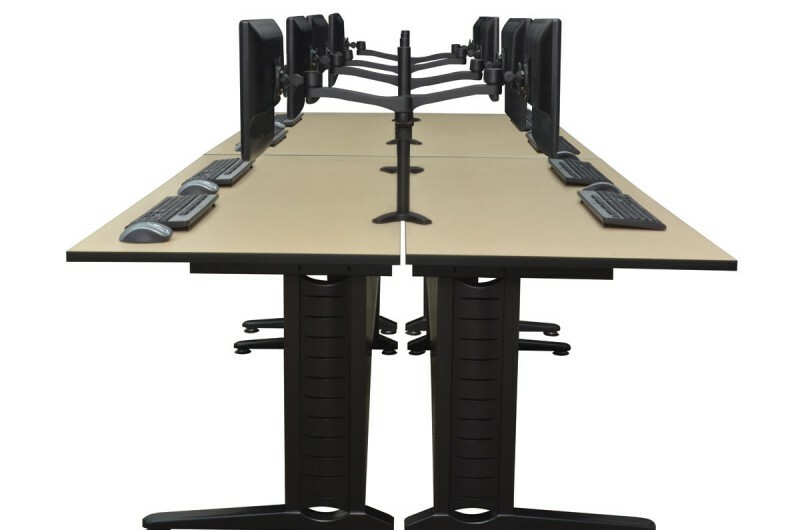 FUSION desks are an ever changing creation at work. 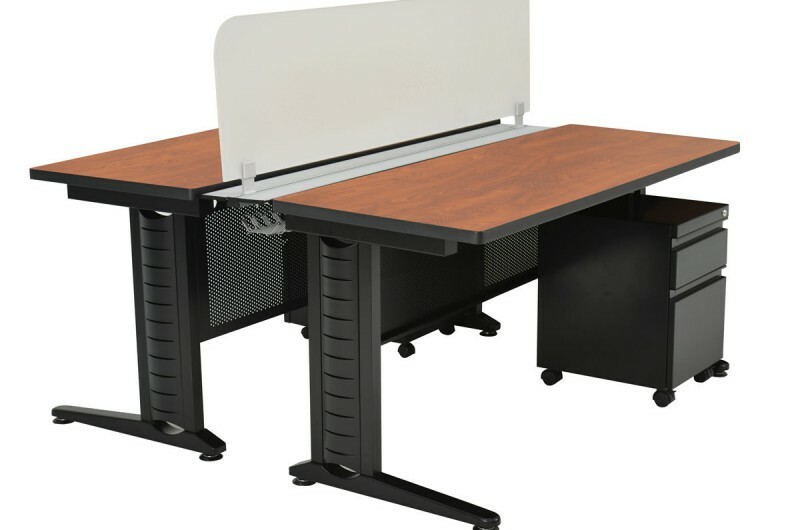 Embracing a 1" thick laminate work surface it protects against stains, burns, bumps and bruises, and its black "PVC" wrapped edge offers even more protection against daily activities. 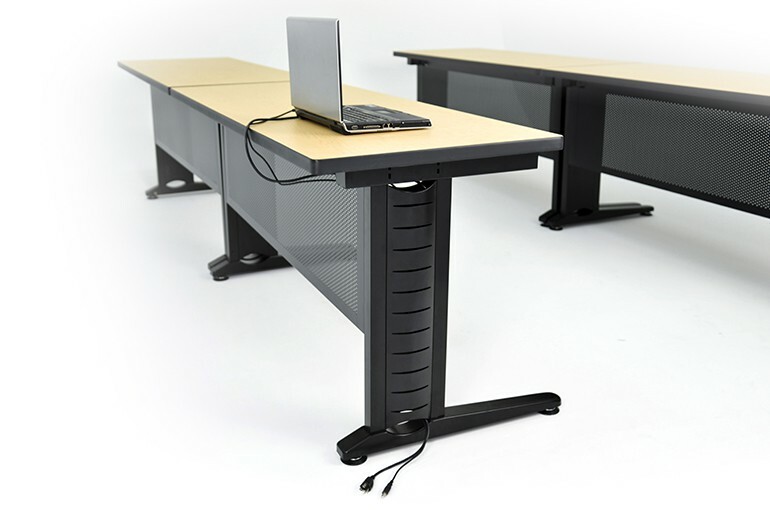 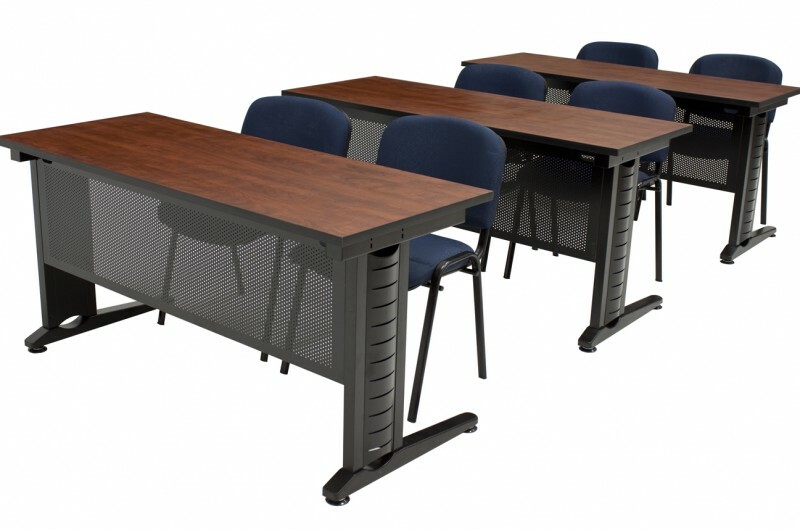 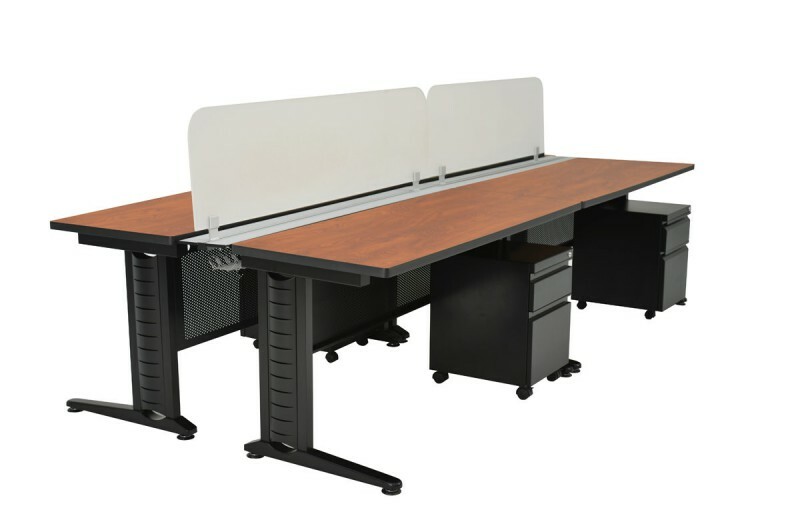 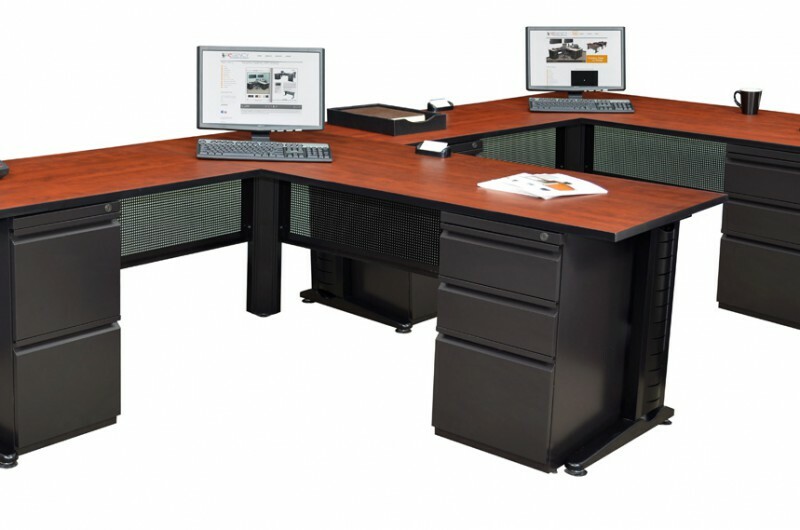 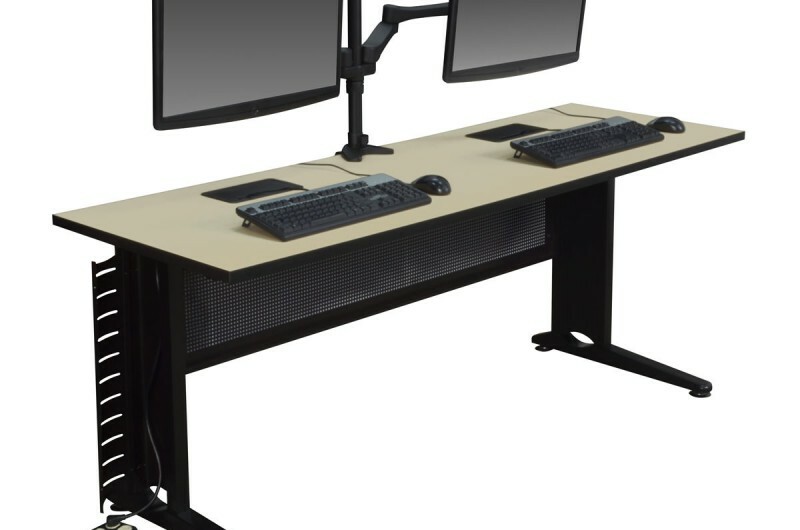 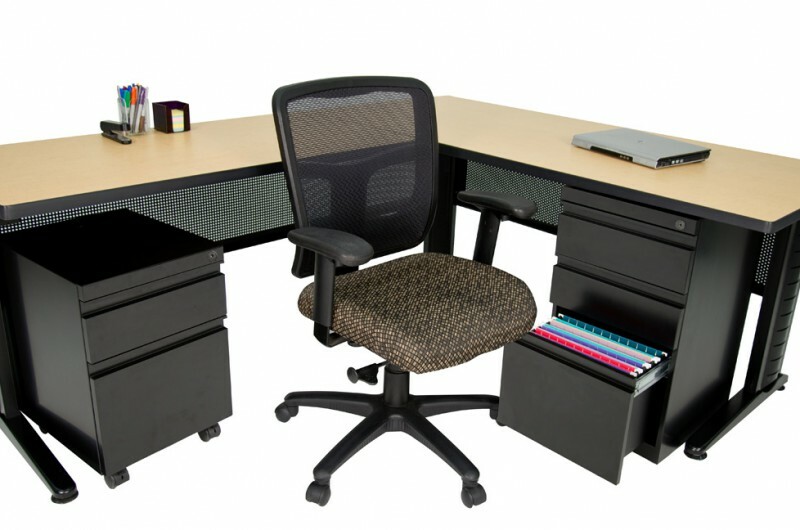 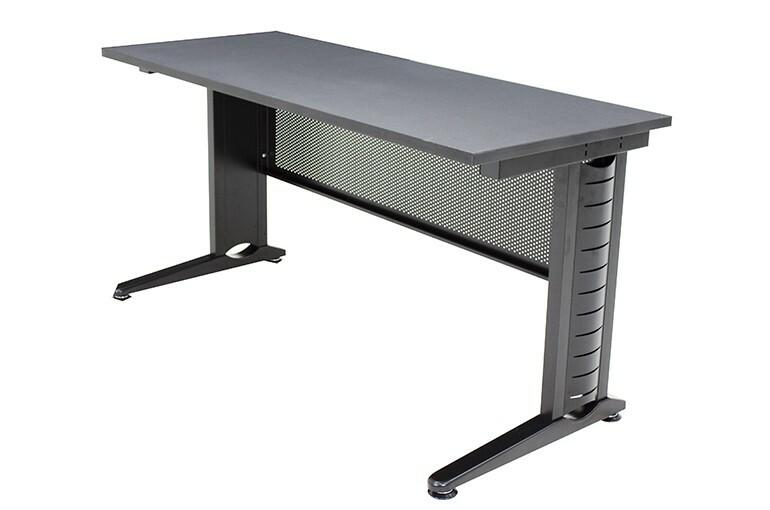 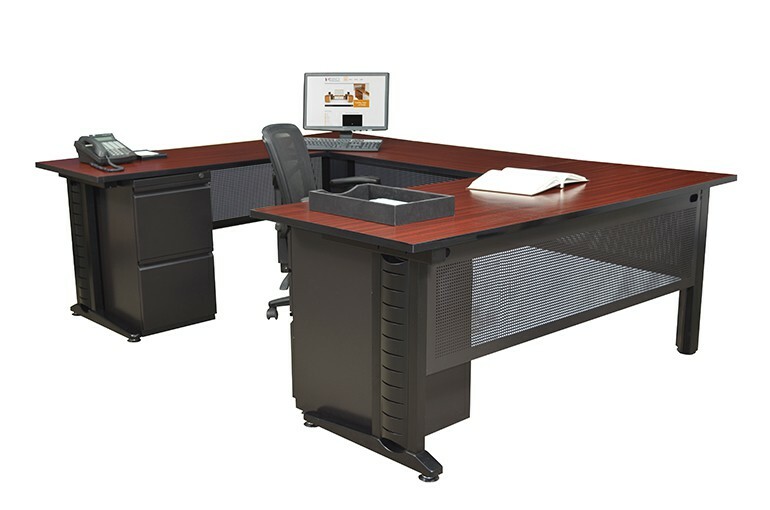 These desks are perfect for your training room, classroom or office. 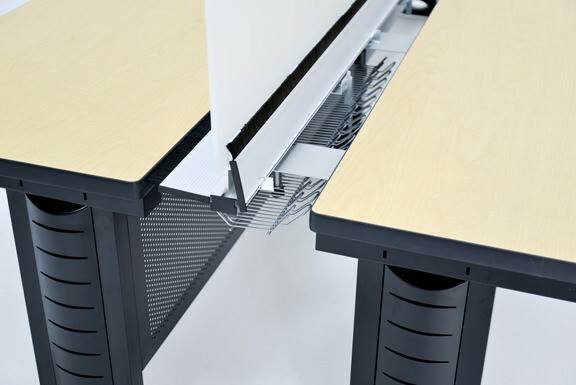 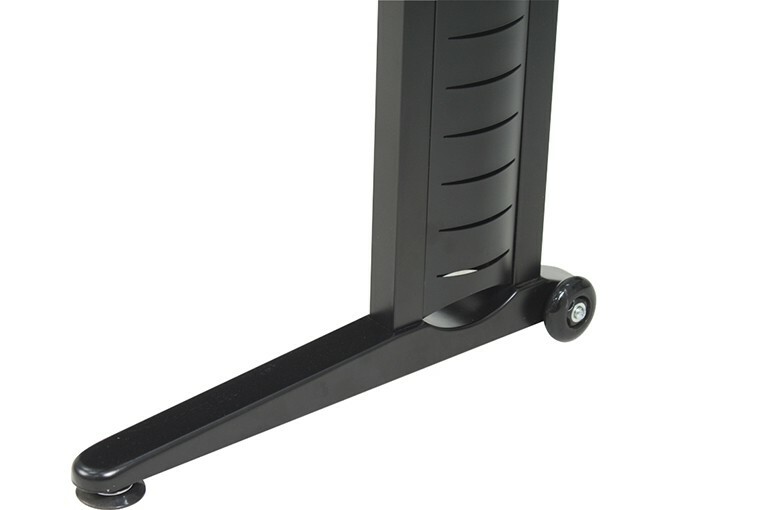 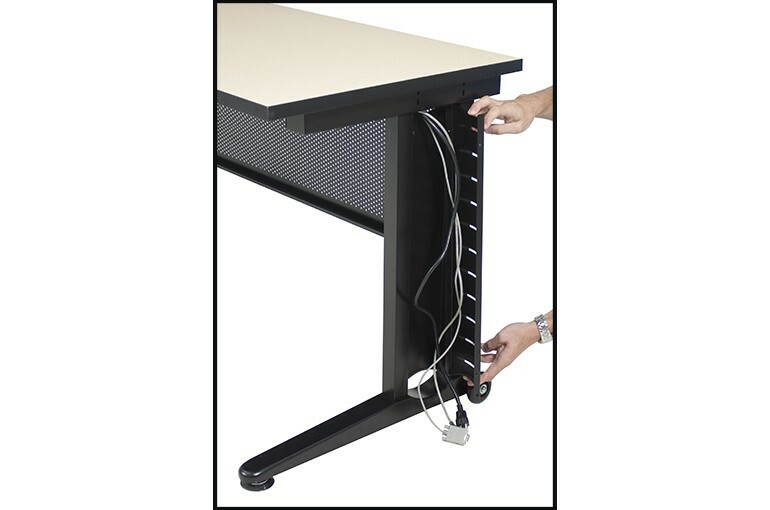 Black metal "C" legs offer concealed wire management up the leg to the trough, which forms the ultimate wire management solution. 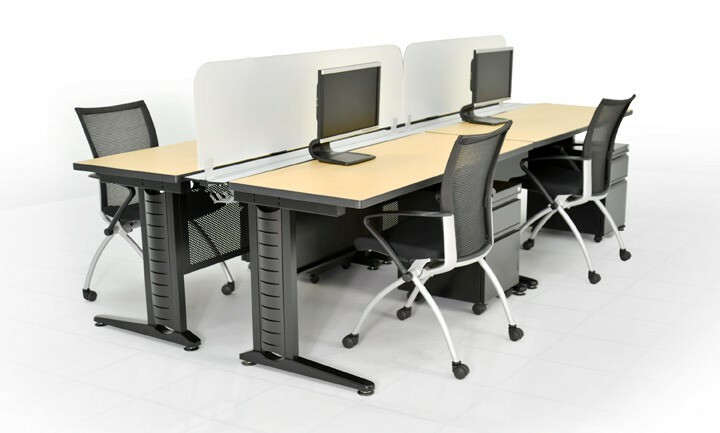 Let your imagination run wild and create "L" desks and "U" shaped workstations. 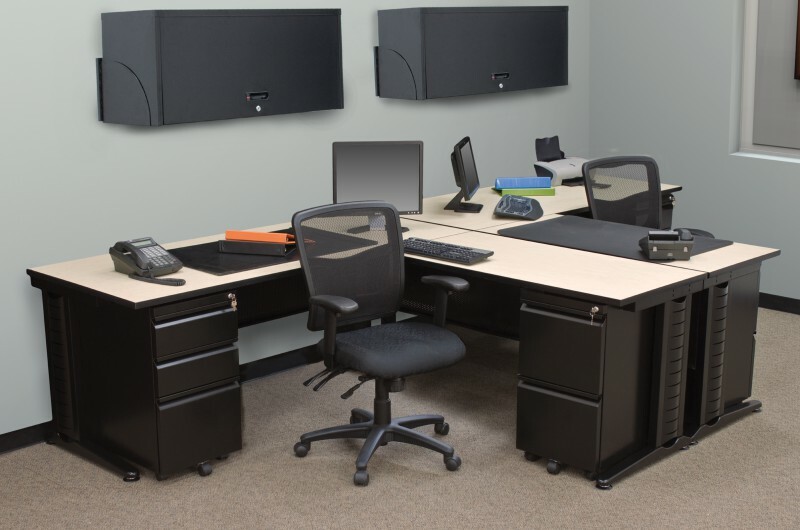 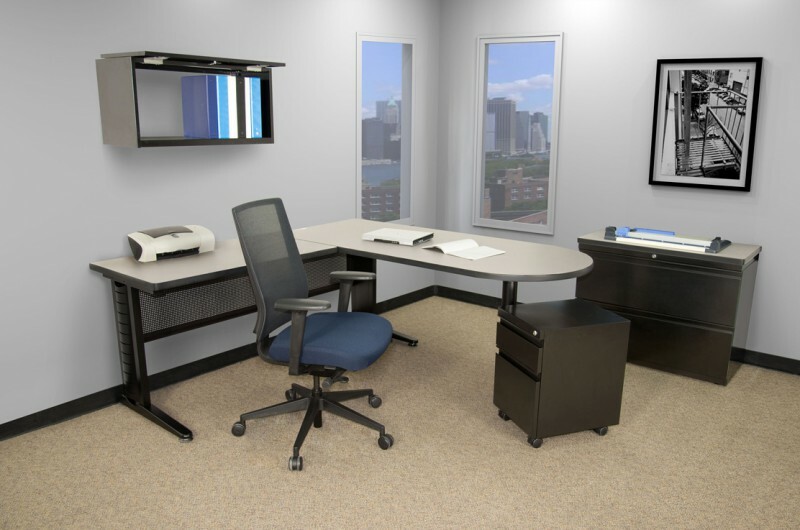 Matching mobile black metal pedestals complete the office suite. 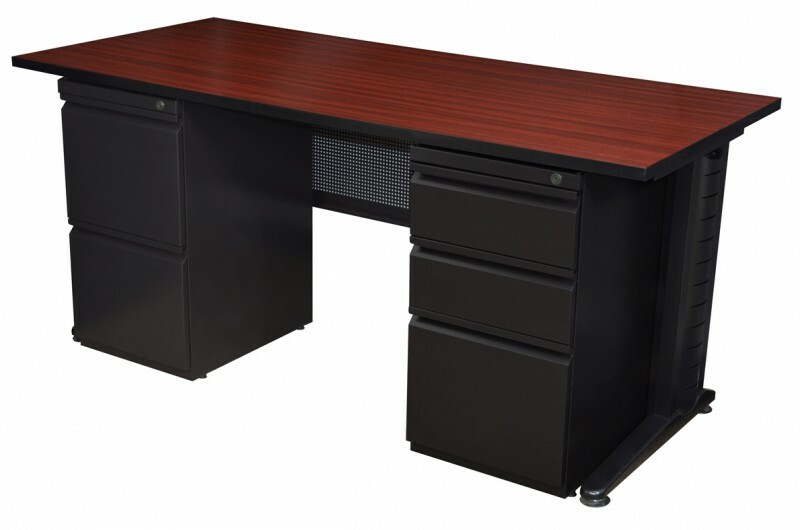 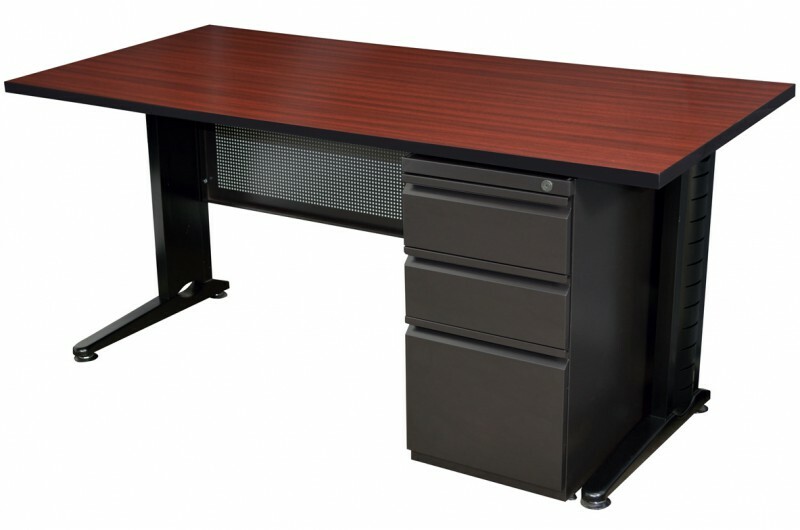 All file drawers include a fully extendable ball bearing drawer suspension with 150 lbs. 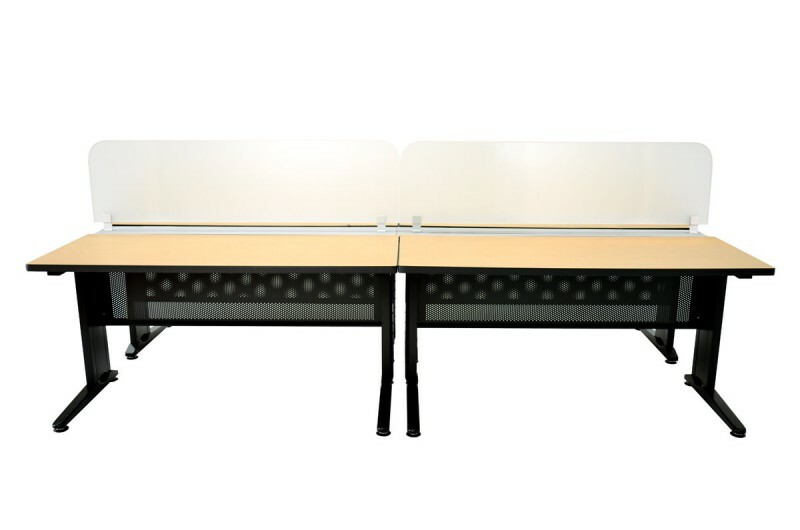 maximum capacity. 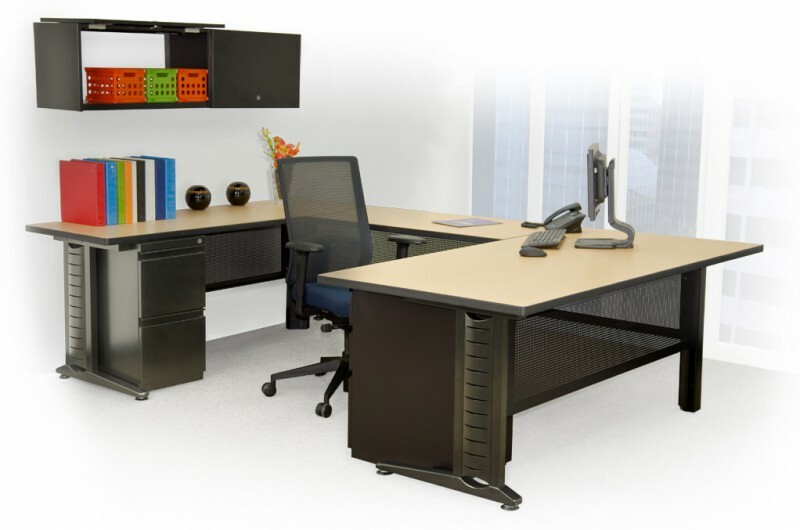 This line is all you are looking for and more..